From Goodreads ~ Winifred Allen needs a vacation. 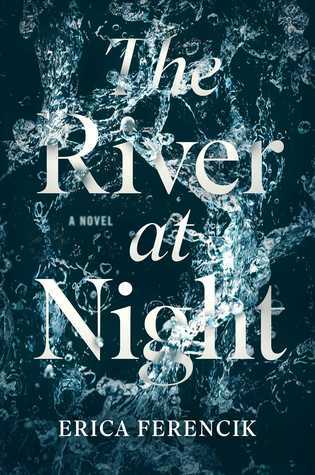 With intimately observed characters, visceral prose, and pacing as ruthless as the river itself, The River at Night is a dark exploration of creatures - both friend and foe - that you won’t soon forget. Wini is in her mid-thirties and she and her three best friends get together every year for a girls' trip. This year, Pia is pushing for a hiking/white water rafting trip in rural Maine. This is not something Wini wants to do as it's way out of her comfort zone but she's convinced to go for it. She's not crazy about her job, her brother has recently died and her ex-husband is dating one of his students. The four set off and are led by Rory, a young trailsman with a outdoor adventure company. Along the way, things don't go as planned and tragedy strikes and they lose their raft and all their belongings. Left to their own devices, they have to figure out how to get back to civilization. They come across a campsite in the middle of the woods with a mother and son who they hope will help them but turn out to be very strange. This is the first book I've read by this author and I thought it was okay. It is written in first person perspective in Wini's voice. As a head's up, there is swearing (lots of F-bombs dropped). I wasn't really crazy about the characters and couldn't find myself relating to or cheering for them. I found Wini to be pretty wimpy and a pushover in the beginning ... she seems scared and nervous about everything. I guess the point of the story is to show us her growth. Pia was unlikable ... very pushy and selfish. 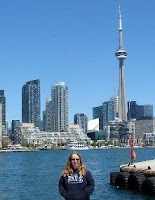 Sandra was a cancer-survivor and married to husband number three. Rachel was a recovering alcoholic who was an ER nurse. With all the clashing and bickering before and during the trip, I don't know how these women are friends, especially with Pia. I found the mother and son they found at the campsite and their situation too bizarre and unbelievable. It did make me never to want to go on a wilderness adventure in the middle of nowhere!